H ere's a secret that few critics would dare utter in public: A play doesn't have to be good to be great. Some of the most uneven productions in Sonoma County history have still yielded satisfying pleasures, and laugh for laugh, some of the best times had in a theater have been provided by shows rife with problems. 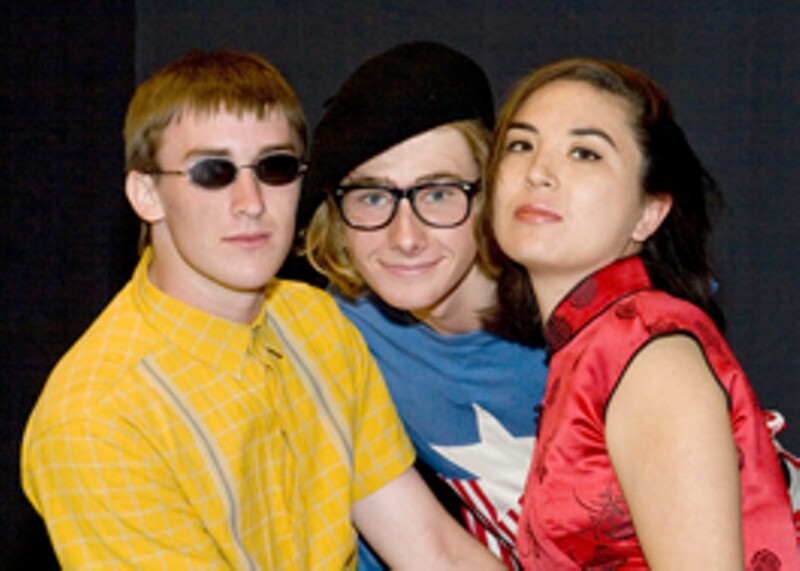 In this spirit I report that the Raven Players' recently opened production of Larry Shue's 1984 farce The Foreigner is one of the most unevenly acted shows of 2008—and also very likely the funniest. With performances ranging from uh-oh-not-so-great to wow-where-has-this-person-been-hiding, the play is a mish-mash of colliding skill sets and outrageously bad accents, but under the direction of Alan Kaplan, it all somehow works, and works well. Set in a rustic hunting lodge in deep Georgia, the 1984 comedy begins with the arrival of two Englishmen, the boisterous military man Froggy LeSueur (Audie Foote, with an accent the runs the gamut from bad Australian to scandalous Scottish) and the unspeakably shy Charlie Baker (an outrageously spot-on Eric Thompson). So fearful of strangers is Charlie that Froggy, in the area on some sort of military maneuvers and eager to leave his friend in the care of the lodge's larger-than-life innkeeper Betty (Mo McElroy, channeling Vicky Lawrence from Mama's Family ), explains that Charlie is a foreigner, and understands no English whatsoever. As a result, Charlie—who initially is glad not to have to interact with the lodge's various visitors and residents—soon becomes the holder of some very big secrets, since everyone feels comfortable spilling their beans in front of him. The biggest laughs in The Foreigner spring from Charlie's attempts to convince everyone that he really does speak a different language, one that he has to improvise from scratch whenever anyone walks in on him having a conversation with Froggy. One of the funniest moments in the show comes when Charlie is encouraged to tell a story from his homeland. What Thompson does with this moment should win him some sort of award, and praise should go to director Kaplan for staging it so well. The comedy is broad, the motivations are not subtle, and in this production, the underlying subtexts that could have rooted the story in some believable emotion are almost completely ignored, but what emerges is still a drop-dead, laugh-till-you-cry, hold-your-sides-to-keep-them-from-hurting triumph of goofiness over finesse. This Foreigner is a welcome visitor. The Foreigner runs Friday&–Saturday through Oct. 26, with one Thursday-night performance on Oct. 24. The Raven Performing Arts Theatre, 115 North St., Healdsburg. $13&–$21. www. ravenplayers.org/tickets.